"That's my Boy" Collection from Echo Park. I used these stars from the Silhouette Store. I placed the three starts over a 5-1/4" h x 4" rectangle in Silhouette Studio to cute them out of the pattern paper and then backed that with navy paper. I cut another set of smaller stars and attached them with foam dots on the front of my card. Super simple but really cute! 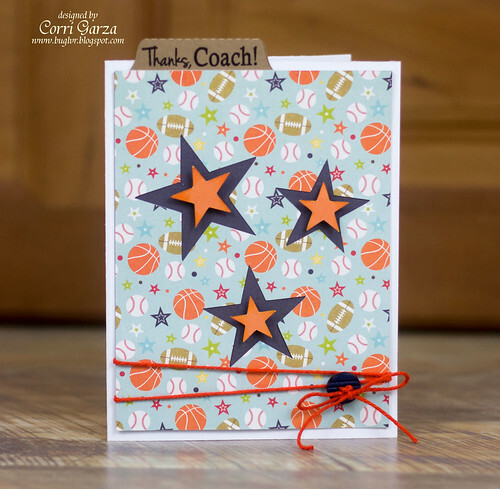 The sentiment is from the Scrappy Moms Stamps set - Game Day.